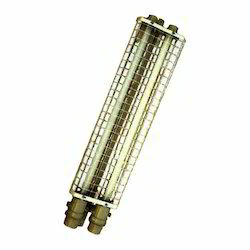 We are a leading Manufacturer of tube light fitting from Vadodara, India. Being a customer focused organization, we are engaged in manufacturing, supplying and exporting Tube Light Fitting. Our offered range of products is manufactured at our state-of-the-art infrastructure facility employing advanced technology. Post-production, these products are thoroughly inspected by quality controllers on certain well-defined parameters of quality in order to rule out every possibility of defect.